The Jaguar 420 (pronounced "four-twenty") and its Daimler Sovereign equivalent were introduced at the October 1966 London Motor Show and produced for two years as the ultimate expression of a series of "compact sporting saloons" offered by Jaguar throughout that decade, all of which shared the same wheelbase. Developed from the Jaguar S-Type, the 420 cost around £200 more than that model and effectively ended buyer interest in it, although the S-Type continued to be sold alongside the 420/Sovereign until both types were supplanted by the Jaguar XJ6 late in 1968. The Jaguar 420 should not be confused with the larger Jaguar 420G. The 420/Sovereign traces its origins back to the Jaguar Mark 2, which was introduced in 1959 and sold through most of the 1960s. The Mark 2 had a live rear axle and was powered by the XK six-cylinder engine first used in the Jaguar XK120 of 1948. The Mark 2 was available in 2.4, 3.4 and 3.8-litre engine capacities. In 1961 Jaguar launched two new models with the triple SU carburettor version of the 3.8-litre XK engine; the Mark X (pronounced "mark ten") saloon and the E-Type sports car. Both cars used versions of Jaguar's new independent rear suspension; the Mark X having a 58-inch (1,500 mm) track and the E-Type a 50-inch (1,300 mm) track. In 1965 the Mark X and E-Type were updated with a new 4.2-litre version of the XK engine, still using triple carburettors. 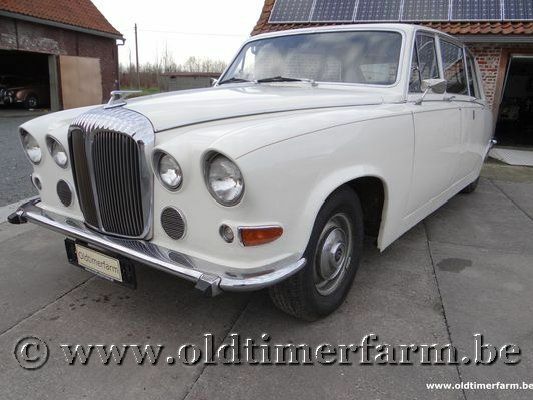 Meanwhile, in 1963 Jaguar had introduced the Jaguar S-Type as a development of the Mark 2. It used a new intermediate-width 54-inch (1,400 mm) version of the independent rear suspension in place of the live rear axle of the Mark 2. Other differences from the Mark 2 were extended rear bodywork to provide for a larger boot, a changed roofline for more rear seat passenger headroom, a slightly plusher interior and detail differences around the nose. The S-Type was available with either 3.4 or 3.8-litre XK engines (only 3.8-litre in USA) but in twin carburettor form because the triple carburettor setup would not readily fit into what was essentially still the Mark 2 engine bay. James Taylor suggests four reasons why Jaguar boss Sir William Lyons might have decided to add yet another model to an already extensive Jaguar range: sales of the Mark X were disappointing; the car was widely seen as being too big and cumbersome and a smaller car with similar standards of technical sophistication and luxury he thought could be more successful demands for more luxurious features would add weight to any future models, forcing the drive towards a 4.2-litre-engined compact saloon a combination of the 4.2-litre engine with the compact saloon body was expected to have market appeal aesthetic objections to the controversially styled S-Type were known to be harming its salesConsequently, Sir William initiated development of a new saloon based on the S-Type, retaining its 54-inch independent rear suspension but adding a twin carburettor version of the 4.2-litre powerplant and frontal styling more akin to that of the Mark X. The new car was released in August 1966 in the form of two badge-engineered models, named Jaguar 420 and Daimler Sovereign. The starting point for design of the 420/Sovereign was the Jaguar S-Type, which had been in production since 1963 but whose styling had never met with universal acceptance. The S-Type was itself developed from the Mark 2 and details of that process can be found in the Jaguar S-Type article. In styling terms, the 420/Sovereign was essentially an S-Type with that car's curvaceous nose made much more linear, the better to match its rear styling (which was not altered). Contouring around its four headlamps was relatively subtle, with small peaks over each, and its flat frontage sloped forward slightly. The square grille with central divider matched that of the 420G, (which was the new name given to the Mark X at the time of the 420/Sovereign's release). The foglamps of the Mark 2 and S-Type were dropped and dummy horn grilles were added below each inner headlamp to break up what would otherwise have been a large expanse of flat metal on either side of the grille. The tops of the front wheel arches were flattened to match the squarer lines of the nose. The slimline bumpers dispensed with the centre dip which had characterised the bumpers of the Mark 2 and S-Type. All this was done to improve the car's aesthetic balance compared with the S-Type and to create a family resemblance to the Mark X/420G, changes which Sir William could not afford (in either time or money) when the S-Type was designed. No attempt was made to give the 420/Sovereign the same front-hinged bonnet as the Mark X/420G and it retained a rear-hinged bonnet of similar dimensions to those of the S-Type and Mark 2. 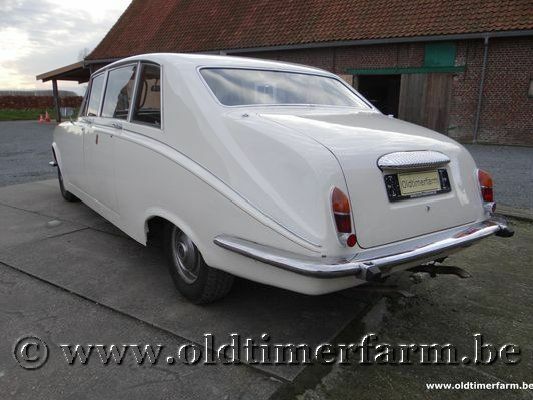 In 1968 the Daimler DS420 limousine began to be produced, carrying a similarly styled grille to the Sovereign and using the 4.2-litre Jaguar engine in twin carburettor form and also undergoing final assembly at Jaguar's Browns Lane factory in Coventry, England. Although this car was based on a modified 420G floorpan rather than that of the 420, the existence of a third Jaguar-manufactured model with "420" in its name provides further scope for confusion. length/width/height/wheelbase – cm (in) : 574/197/161/358 (226/77.5/63.4/141); weight : 2133 kg (4702 lbs). Engine : straight-six 4227 cc (258 ci), front-mounted, 12 valves, 2 carbs, automatic 3-speed gearbox, rear-wheel drive. Power : 248 bhp at 4500 rpm; torque : 382 Nm at 3750 rpm. Top speed : 176 km/h (110 mph).